Application pages are a pain. They exist inside the _layouts directory, and are common to all the files across the farm. This makes them difficult to change, as such changes happen thoughout the system, not just one site or site collection. They’ve also got their own master page – and it’s difficult to change, which often you want to when branding a system. Essentially, you should try not to need a new master page (application pages can be modified by Themes, so that’s one way of branding them). Like I say, you can change the style of this window through themes, but really that means just changing the colours – changing the structure of the page is much, much harder. 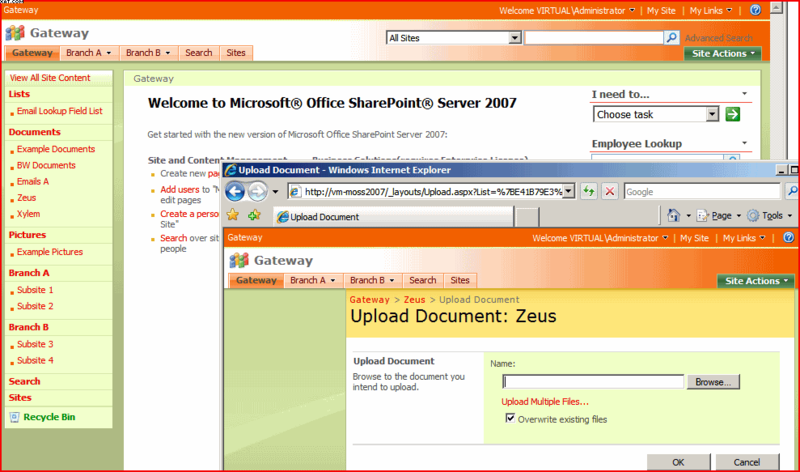 Below is an example of changing the Site’s appearance through themes – you can see that this applies to the upload page too. 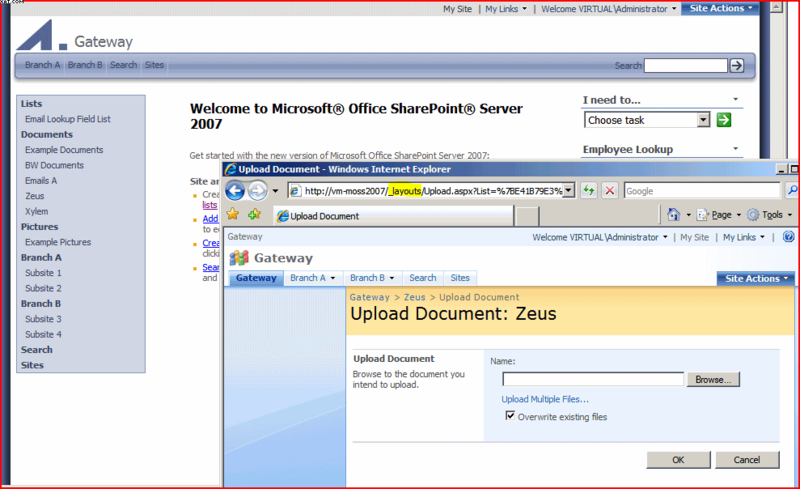 You shouldn’t change application pages themselves, as they are core to SharePoint and you won’t be supported by Microsoft – but you can add your own, should you want to present your own farm-wide administration pages.